Overview… an orphan, rather suddenly. Ten-year-old Mary Lennox’s parents have just passed away following a devastating earthquake that struck their hometown in India. 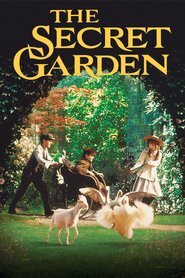 Mary and the other orphans are shipped back to England, where she is sent to live with her uncle, Lord Archibald Craven, at Misselthwaite Manor. Life is quiet and dull on the cold, barren estate, but Mary is about to discover that there is much more to the place than meets the eye. Personality… spoiled, bitter, and frosty. The neglect of her parents has turned Mary Lennox into one angry young lady. She didn’t even cry when they died. Upon arriving at Misselthwaithe, Mary instantly starts to boss her servants around and is incredibly dissatisfied with the standard of living. Unfortunately, she has nowhere else to go. Mary Lennox's popularity ranking on CharacTour is #2623 out of 5,000+ characters. See our top-ranked characters and read their profiles.